VIDEO: Teaser trailer for "Rogue One: A Star Wars Story" to debut on Good Morning America tomorrow! VIDEO: Teaser trailer for “Rogue One: A Star Wars Story” to debut on Good Morning America tomorrow! The Rogue One hype…so thick…can’t see through it. Set your alarms folks, and make sure to tune in to Good Morning America tomorrow for the debut of the brand new teaser trailer for Rogue One: A Star Wars Story! The show starts at 7am ET, and you better believe we’ll have our eyes glued to the tv screen. Rogue One: A Star Wars Story is an upcoming American epic space opera film directed by Gareth Edwards and written by Gary Whitta and Chris Weitz, from an idea by visual effects supervisor John Knoll. 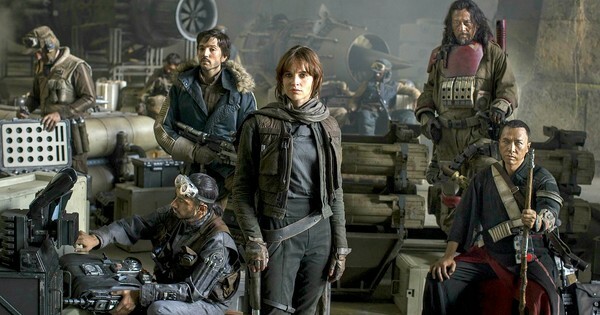 It will be the first Star Wars Anthology film, a stand-alone story set in the Star Wars universe, and will star Felicity Jones, Diego Luna, Riz Ahmed, Ben Mendelsohn, Donnie Yen, Jiang Wen, Forest Whitaker, Mads Mikkelsen, and Alan Tudyk. Set shortly before the events of A New Hope, the story will center on a group of Rebel spies on a mission to steal the plans for the Galactic Empire’s new weapon, the Death Star. The film is produced by Lucasfilm and will be distributed by Walt Disney Studios Motion Pictures. Principal photography began at Elstree Studios, near London during early August 2015. Rogue One will be released on December 16, 2016. For all things Star Wars stick with Inside the Magic! Older Older post: Muppet band Dr. Teeth and The Electric Mayhem to perform at Outside Lands Music Festival 2016!